PCD Pharma Franchise in Odisha- Due to the growth of pharmaceutical companies, investment in the pharmaceutical franchise business is increasing in India. PCD Pharma Franchise does not require huge investment and offers good investment returns, which is why most people are interested in this sector. In addition, it offers good growth and great scope. So, if you are looking for such pharma business opportunity then join the leading PCD Pharma Franchise in Odisha with the massive support of Aden Healthcare. Aden Healthcare is a pharmaceutical company certified by the WHO, which is known for its pharmaceutical products and services oriented towards quality. We’ve earned a name and reputation that we’re proud to say you can trust. We tried to join India’s fastest-growing Pharmaceuticals Company league. We have exceptional goodwill that is a mark of our growing market appreciation and demand as best PCD Pharma Franchise in Odisha. We Aden Healthcare count as best in the list of pharma companies in Orissa because of best quality medicine formulation at the most reasonable price range for Pharma Franchise in Odisha. We are known for our best backup support to our pharma franchise associates in India. Therefore we are the first choice of Orissa in pharma franchise companies. Join with Aden Healthcare and feel the best ever business experience, you can contact us on +91 9216325808 or drop us an email at adenhealthcare@gmail.com. We Aden Healthcare are always happy to serve you with the best pharma business opportunity. Odisha, formerly known as Orissa, is a major state in eastern India with an estimated 35 million inhabitants. Due to several factors, including development and educational interventions, economic improvement and better health services, the population’s health status has gradually improved. But there is another side of Odisha healthcare also. Cuttack: Cuttack is one of the top 20 districts with high blood sugar prevalence. It reflects changing lifestyles and unhealthy eating habits, according to doctors. According to a study in coastal Odisha, which found the prevalence of diabetes at 0.8 percent, the increase is alarming, especially since the state does not have sufficient doctors trained to detect and treat diabetes early. Therefore there is a great scope of PCD Pharma Franchise in Odisha. Sambalpur district: The district of Sambalpur reported maximum cases of high sugar levels. But with most cases, the district of Khordha tops the state. Sources have reported that the district of Khordha has the highest rural population in the state affected by diabetes, followed by Sambalpur and Kandhamal. Balasore district: Of the 11 nations with 70% of the world’s malaria burden, only India has managed to reduce its burden of disease. In 2017, Odisha reported an 80 percent decrease in cases of malaria and death. The reported cases of malaria in the state also fell from 347,860 in 2017 to 55,365 in 2018 (January to September), and deaths in the same period fell from 24 to four. Therefore there is a great scope of pharma franchise in Odisha. 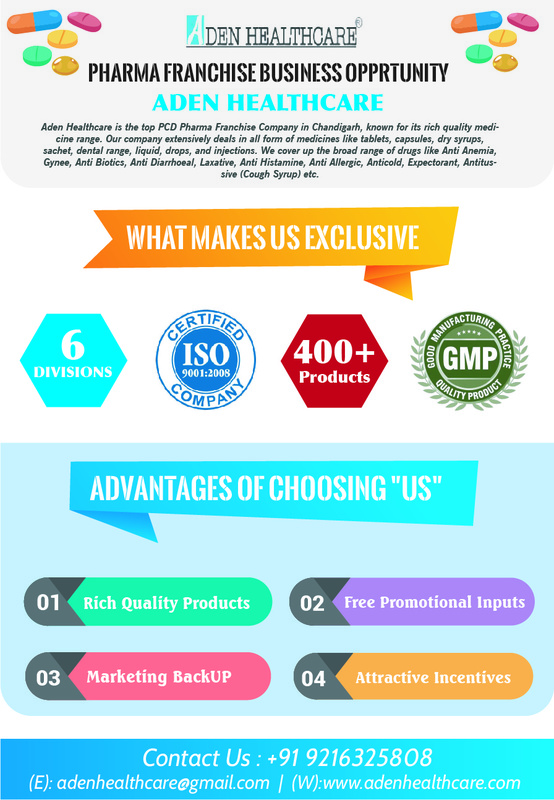 Just you need you to select the best pharma franchise company in Odisha. It requires low investment, which reduces the risk. It provides you the chance to run own your business, one does not have to work under any pressure. Your income depends upon your work, Cut on various costs like administration, marketing and set up etc. This pharma franchise business provides good profit, the more products you will sell the more profit you earn. You get to save a lot of investment. You can have your business in your city near to your home unlike another career in the pharma industry. Therefore, this has drawn the attention of a number of people in Odisha in recent years towards. Provide numbers of promotional kits. Discount scheme for regular customers. Links with the best distribution channels. Ensure the best promotional marketing support. Has a separate department for each business operation. Our unique monopoly rights for the pharma franchise business are the most important marketing weapon that can lead you in the most efficient way. You would be protected by your competitor and become the king of the market by obtaining the monopoly rights of the wide region. It helps you to attract customers ‘ attention and create links to goods. We as the best pharma franchise company provide the Monopoly PCD Franchise in every district of Odisha Angul, Boudh, Balangir, Balasore, Cuttack, Debagarh, Chhatrapur, Khordha, Kendujhar, Puri, Subarnapur, Nayagarh. 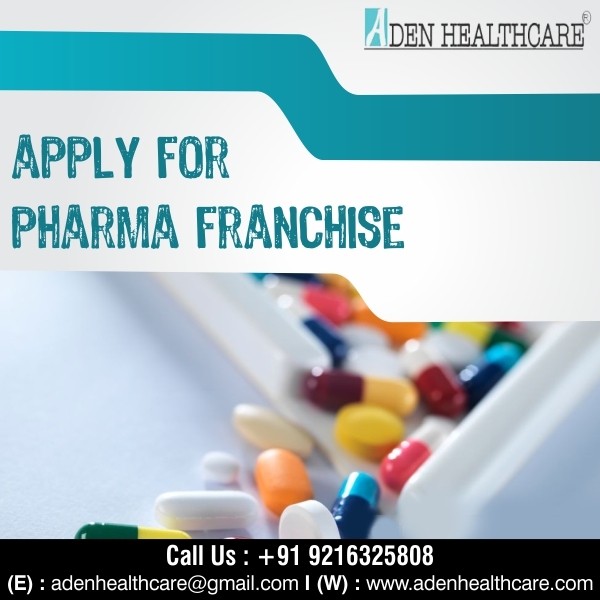 Aden Healthcare is providing the best pharma franchise business opportunity in Odisha for them who are really looking to expand their pharma franchise business boundaries at wide. Needless to say, that scope of the pharmaceutical franchise business model is high. Healthcare sector has been touching the sky and the reason behind it is emerging and improving the infrastructure of the medical industry. People are more aware of quality medicines and generic medicines. Moreover, Nobody wants to compromise with their health. Thus, the scope of the pharmaceutical sector is high and the franchise model is one of the vital of it. It lets connect with the right customers and quality medicines Anyone can expect a bright future, just need to choose the correct pharma franchise company in Odisha.